No matter how hard I tried, I couldn’t make her smile. For two years, Nika had been treated for a condition she didn’t even have. Now, at age four, her body was overwhelmed with infection. The overgrowth of bacteria was the result of failing to start antibiotics on a timely basis, and the excessive prescribing of steroids. Misdiagnosing is not an uncommon problem that occurs even in the U. S., but in other countries I see it far more often. 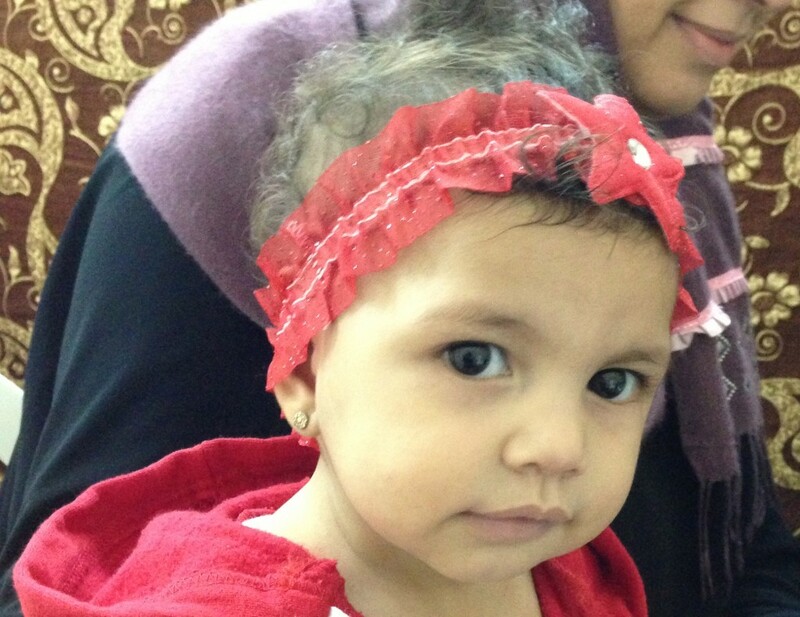 But this little angel had been ill for so long, she didn’t even remember how to smile. What a tragedy for a four year old girl—to suffer continuously for years, with little hope of waking up without pain and disgusting sores all over her body. Nika has come to know that she will always be in pain, and she expects nothing more. That struck me harder than the fact that she was so ill. I couldn’t convince her that I would help her. My promises made no difference in her expression, and certainly did nothing to cheer her up. Not only did it not make her happy—it was almost as if I hadn’t said anything at all. Treatment of her condition was easy. It required about $10 worth of medicine that I happened to have with me. Her mother, with tears in her eyes tried to tell Nika that she was going to get better, but she didn’t seem to care anymore. Maybe it’s even worse than that. Maybe we live our lives blaming God for our problems—our pain. He is telling us that He offers relief and healing—but we don’t believe it. It’s so easy for Him to touch us and help us, but we don’t buy it anymore. We’ve decided to live in pain without relief, without hope—without end. The good news is that He is still there for us, and although He desires our best, there is a bigger picture. God has a plan and we are part of it, but that doesn’t mean that He is ready to give us whatever we want if it doesn’t meet that plan. It isn’t a selfish plan, it’s a loving plan—a plan for our benefit. It is God’s desire that no one should perish—that everyone know Jesus as Savior and Lord. We need to trust Him when He says He will bless us, save us, and deliver us. Sometimes I feel like Nika. When Christ says He is going to help me, should I doubt that He can—or will? It sounds foolish, because it is. We need simply to trust and accept Him at his Word, in order to receive what He has promised. After two weeks on antibiotics, Nika is a new person. She no longer has oozing sores on her hands and feet, scalp and face as she did just days ago. It doesn’t hurt her to eat now, or play, or sit. And Nika can do something she never thought possible, something she now loves to do—she can brush her hair without it hurting anymore. By the way—Nika has a beautiful smile.